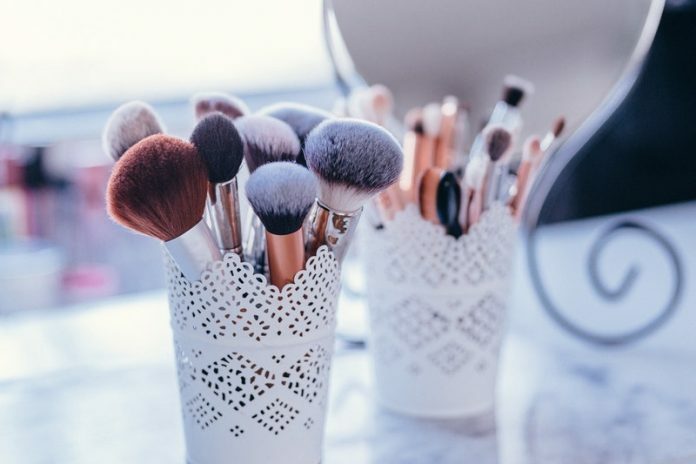 A How-to Use Guide on Different Types of Makeup Brushes : Almost all of us love to follow numerous online beauty tutorials available on YouTube or other channels but one thing that still causes a lot of confusion is selecting the right makeup brush. 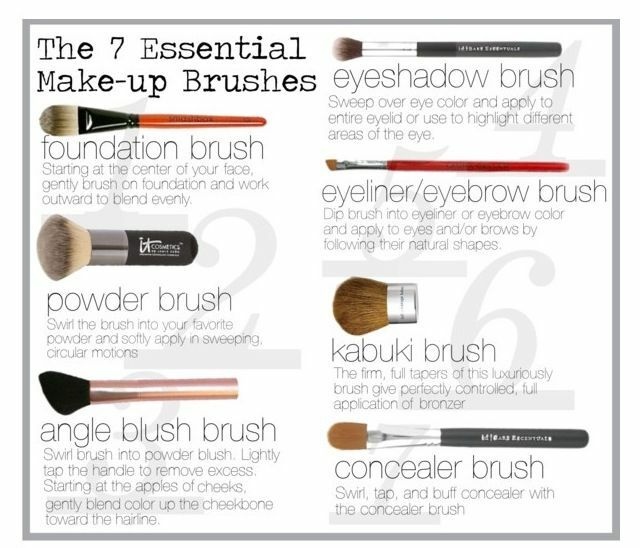 Which makeup brush goes well with what kind of product, often leaves all of us in a quandary. Well ladies, don’t worry, as we are here with a complete guide on different types of makeup brushes available in the market and their uses. From a foundation brush to a fan brush, we have sorted out everything for you. 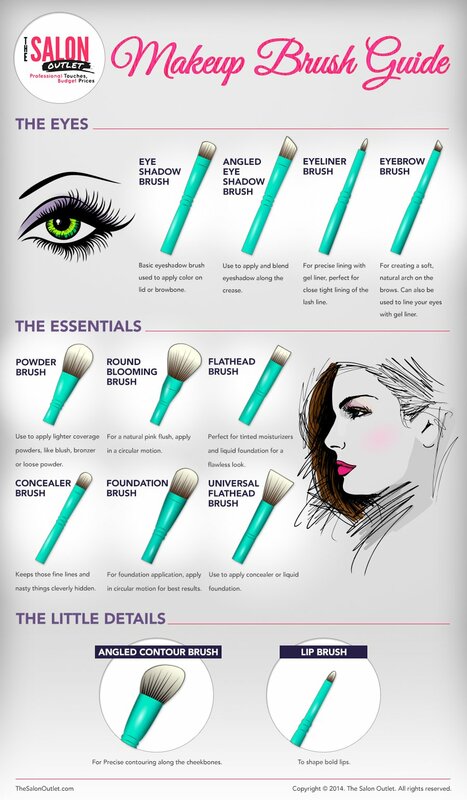 Starting with very basic of brushes, the first brush on the list is a foundation brush. As the name goes, this brush is used to blend the foundation smoothly into your skin. It comes with firm and tightly packed soft bristles with varying lengths so that you can achieve an even more finished look. There are two ways in which you can use this brush. Either put foundation on your face and then use this brush to blend it evenly or you can put a bit of foundation directly onto the brush followed by spreading and mixing. Remember, blending is your cardio. The foundation brushes are available in different lengths and, you are free to choose as per your convenience. However, choosing a wrong brush will make your face look cakey and overdone. Start working with the foundation brush on your face inside out towards your hairline. It is more hygienic. However, you should clean your makeup brushes every week to keep off bacteria and fungus. It evens out your foundation seamlessly on your face. The product doesn’t end up on your fingers. These little beauties can prove handy when it comes to spot correction. You might get astonished by the outcome of this small brush. The brush comes with small bristles of even length that conceal the nooks and crannies of your face effectively. Put some concealer on to the desired area and dab lightly using the concealer brush until it disappears into your skin. A brush that is the most versatile of all the other makeup brushes, the kabuki brush has a flat top with ultra-voluminous and soft bristles which means they have a high surface area. You can use this brush to (pamper your skin) apply bronzers, highlighters, or setting powders onto your face, neck, and the chest area as well. Dab the Kabuki brush on your favourite bronzer and use it over your face to spread the product evenly. It gives you a larger surface area so that you can work on them comfortably. You can call it the big brother of little Kabuki. A powder brush is a bit longer than the kabuki brush but, both of them serve the same purpose. As the name suggests, it is good with powders. The powder brush comes with soft, round, and fuller bristles that distribute the product evenly to larger areas. Dab the powder brush into your product, dust off any excess and apply in circular sweeps. The longer handle of the brush gives you a better and comfortable grip. A stippling brush is also known as a duo-fibre brush or skunk brush. It is a multi-purpose brush that is most commonly used to blend liquid foundation, blush and bronzer. The black bristles of the brush are usually the animal hairs while the white fluffy ends are made up of synthetic. A stippling brush is used to give you an airbrushed look. Use the brush inside-out on your face, after you are done blending your base with a foundation brush. It gives you a flawless airbrushed finishing touch. A blush brush is used for applying blush on your cheeks, quite understandably! This brush is made up of fine and gentle hairs with a round head that blends your blush evenly onto your cheekbones. These blush brushes will surely become your new brush crush. Dab a blush brush into a powder blush, shake off the excess, smile to make your cheekbones prominent, and blend smoothly along your cheeks. This brush does what fingers can’t! It spreads the blush with precision on the apples of your cheeks. Contouring is something which you can never do without a brush. A contour brush is angled and has very soft, dense bristles. The reason that a contour brush is angled is that it matches with the shape of your cheekbones and provides you precision while blending. However, you can also use this brush to contour your temples, the sides of their nose, or even jawline for a sleek look. Apply the product to your face and then using a contour brush blend it in stippling motions. Switch to circular motions, once the product starts working into your skin. The angled shape of the brush gives you more precision as compared to a foundation or blush brush. The highlighter is in trend these days and thus, you need to add this brush to your collection straight away. This brush looks different from all the other brushes and is easily recognisable. It has soft, thin and light bristles fanning out so that you can apply highlighter to your cheeks evenly. Put the highlight brush into the product and dab off the excess amount. Sweep back and forth on the apples of your cheeks. Don’t forget to miss on your cupid’s bow and nose for an extra glowy look. The extra soft bristles of the brush evenly spread the highlighter on your cheekbones without making you look overdone. The brushes with which you work on your eyes are much smaller than the face brushes. These brushes are designed as such to give you a precise look and an utmost control while working with your eyelids. Use the brush to pat eyeshadow on to your eyes. Don’t hesitate to put on extra layers for a denser look. A gel or pen eyeliner works wonder while flicking out wings but, having a sharp eyeliner brush is a blessing. A liner brush helps you to get an ultra-precise shape. An eyeliner brush looks similar to a small paintbrush with dense bristles slightly angled. Dip the eyeliner brush in a gel liner and apply it to get perfect wings. Follow the curve of your eyes to get a more precise look. It gives you more command over your hands than a gel liner brush. Allows you to work on sharp bends and curves. You can make your lips look ultra-crisp using a lip brush. A lip brush is small and thin with soft bristles again similar to a paintbrush. Start by taking a generous amount of product on the brush and work on your creases. Once you are done with outlining, use the same brush to fill in. Allows you to mark outline on your lips and define your cupid’s bow. Makes it easy to work on your lips. That brings us to the end of the guide. We have tried to cover all the different kinds of makeup brushes. Don’t forget that every woman is an artist if given the right makeup brush. It is quite hard to find a makeup brush that works well for you hence you must choose them wisely. We hope we managed to clear the air on which brush goes with what product. MAKEUP BRUSHES FOR BEGINNERS | What Makeup Brushes To Get! Previous articleWhat are the benefits of drinking Kombucha?